Before we go into the standard review, let me give you this little bit of information. Here I am typing in LiveWriter with WiFi on and connected at 300Mbps, a good screen brightness (I’m near a Window.) It’s silent as I work and the battery drain is showing that I’ll be OK for over 9hours. You’ll understand the significance of this statement as you read through this review. Backlit keyboard. Mini cursor keys. Large trackpad. Battery capacity: 37 Wh non-removable with external battery expansion connector. Ports: HDMI (full size), Full SD card slot. USB3.0 x 2, headset, extended battery connector. 1MP front cam. Stereo speakers. Array mic. 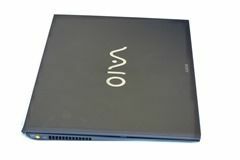 Price (USA) Starting at $1149.99 and going up to 2599.99 (Sony.com). In Germany starting at €899. The Sony Vaio Pro 13 looks great and feels incredibly light but there are a few parts of the device that look a bit plasticky. 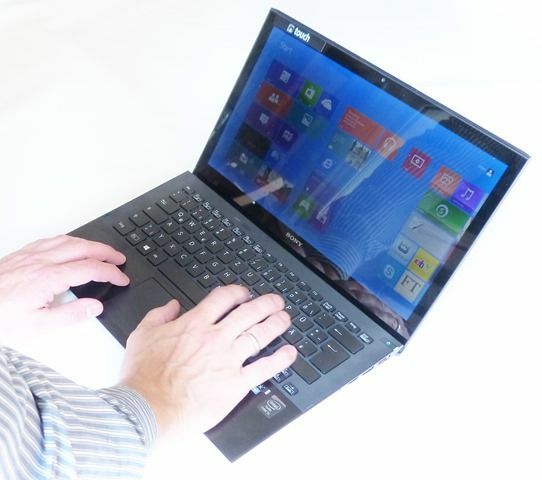 We loved the feel of the keyboard and the screen looked punchy and bright. 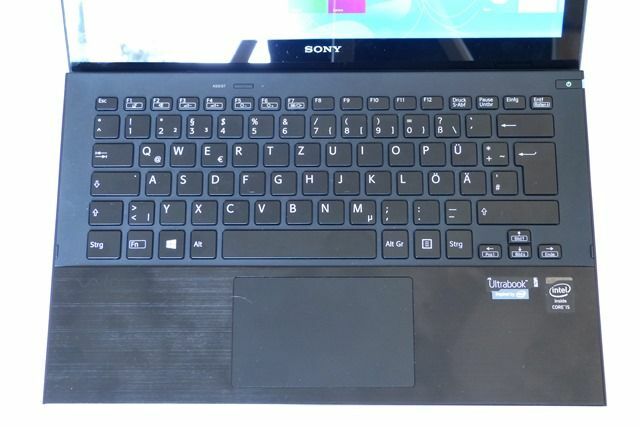 Keyboard backlight? Check! Screen wobble was noticeable and changing screen angles revealed that this isn’t an IPS full-angle screen. That might be an advantage in terms of security and screen power usage for some, a disadvantage for others. A video presentation is included at the end of this article. 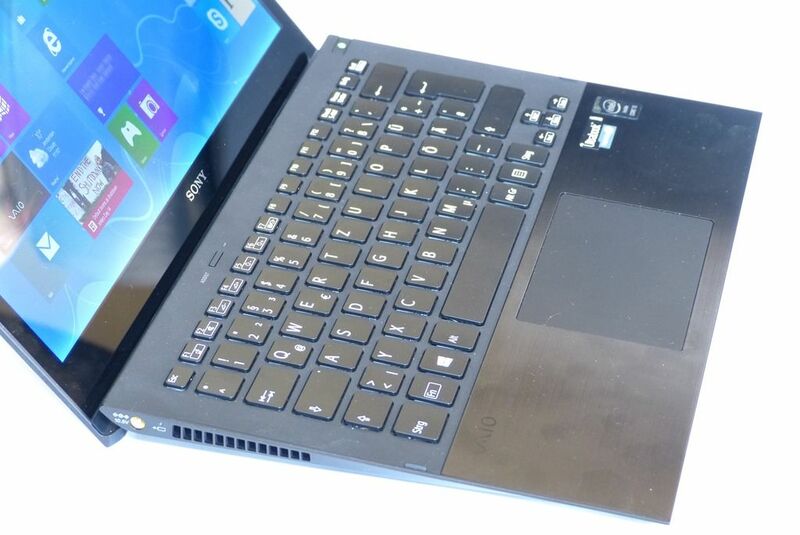 Parts of the Sony Vaio 13 Pro feel a little thin and it gives an impression of cheapness. Flex adds to that feeling but it’s one of the trade-offs here. 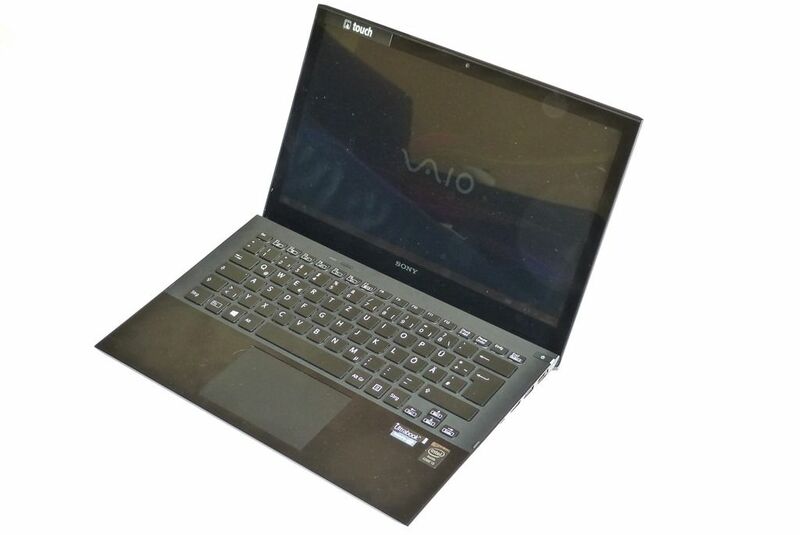 We saw the same on the Toshiba Z830 screen although the Sony Vaio Pro 13 screen is much more sturdy than that. 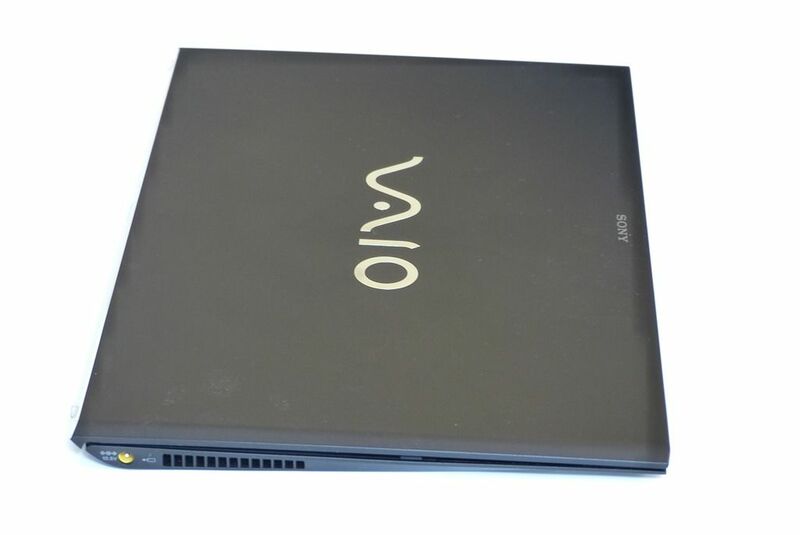 Some of the edges feel sharp too so trying to hold the Vaio 13 up by one corner can be painful, if that’s the sort of thing you do! With every thin design comes the same old issue of port space. Sony have done well here by offering a full-size HDMI port right up at the rear of the ‘wedge’ along with two USB3.0 ports (one for sleep-and-charge) and a full-size SD card slot. Mobile photographers, videographers take note! Starting with the keyboard we can give top marks. 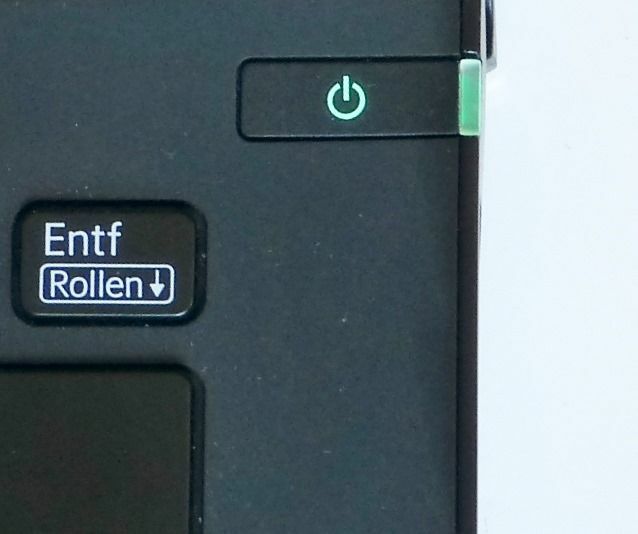 A small left shift-key and small cursor control keys (on this German layout, note) might be a negative for some but accuracy is excellent and comfort is up there with some of the best, especially when this keystroke depth is considered. The screen is good too although it’s got some fading away from the optimal center position. That’s not as much of an issue with this tablet-top-centric device as it is with tablets although it’s enough that the user can see fading to the edges of the screen when face-on and close (30 cm, 6-inches). The mouse isn’t quite up to the standard of the keyboard. We weren’t accurate with the left mouse button during our 10-day test period. For mouse movement it’s fine though. One thing to be aware of is flex in the base unit. We can push the center of the keyboard down at least 2mm. No-one can say at this stage if it’s going to be an issue over time or an impact absorbing feature. It doesn’t appear to affect typing or normal use of the mouse. More information on the Sony Vaio Pro 13 including news items, videos, gallery and more – in our database. Continue to Page 2 of the review. 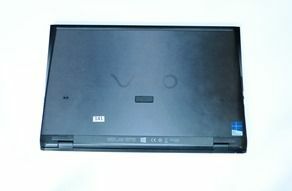 No “Pro” notebook should have such a bad WiFi setup. That’s one of the last things you sacrifice when trying to make it look pretty and light. That Ethernet to WiFi hotspot adapter is almost useless. They should have just provided a USB 3.0 to GigE adapter if they couldn’t fit it into the notebook. With that you won’t lose more than half your real world possible speed especially within a GigE company network. You can’t do much with a crappy internet connection. Many companies require you to connect to their network directly or through a VPN to just checkout a license to open up your software. You can work offline up to a point but you’ll eventually need something from the internet or your corporate network. I’m using this laptop as well, with the latest WIFI drivers from intel, the ultrabook is very much stable in our Enterprise Network (802.11x EAP authentication) @ 2.4ghz and at my home router at 5ghz, I have hardly used my usb 3 to ethernet adaper at the moment. I’m assuming you have high signal strength and/or don’t do much that would saturate your WiFi speed. If not then what actual transfer speeds and signal strength (dBm) are you getting? Most WiFi setups do fine in strong signal areas. As the signal weakens, bad WiFi setups become more apparent. There are some labs at work where WiFi tends to be weak. They definitely show which notebooks have excellent WiFi. We transfer many large file and the difference between a 20 Mbits/s and 100 Mbit/s transfer is very noticeable. My boss has just purchased one of these, but has found that the brightness on the screen fades when he uses it on mains power, and it brightens again on battery. Is this normal?